This training course is for programmers who plan to work in Java, as well as anyone interested in learning more about Java programming. This course prepares for the Java Programmer test 310-055. 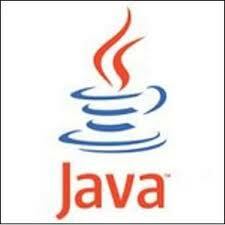 There are few prerequisites for enrolling in Java programming. Individuals should have a basic knowledge of computer systems and have basic knowledge of programming logic and programming. Additionally, most applicants have some practical, real world knowledge using HTML. Exam Requirements: The knowledge learned in this course can be applied to any Java Exam specially exam 310-055. Audience: This training course is for anyone preparing for the Sun Java Certified Programmer exam (Exam 310-055). Course Description: The Sun Certified Programmer for Java 2 Platform 5.0 certification allows web programmers to prove a thorough knowledge of Java programming structure and the ability to create Java applications. This study guide online course will cover all of the knowledge needed for the 310-055 test to become a Sun Certified Programmer for Java 2 Platform 5.0. This course gives a foundation of Java fundamentals upon which to build. The course introduces the use of the Java language and the Java Virtual Machine, the basics of syntax and control flow, compiling and running a Java application, and other fundamental topics. This course teaches the fundamentals of object-oriented programming concepts and their application in a Java environment. This course teaches the organization of the core Java classes into packages. This course teaches the fundamentals of file input and output in Java. This course teaches how to use classes and methods in the java.io package to serialize object data. This course teaches how to create applications that use threads to simultaneously carry out multiple tasks, and how to use exceptions and assertions to detect and handle unexpected run-time conditions. This course teaches how to work with dates, numbers and currencies in Java. It also covers how to create applications that search text strings and files for patterns of text, or tokens. This course teaches how to use the java.net package to create networking applications in Java. This course teaches how to create groupings of objects using collections and how to use generics to assign some type safety to those collections. The course covers the four major categories of collections, type safety and type erasure, sorting and searching in collections and arrays, and the use of polymorphism with generics. This course teaches how to create Java applications that communicate with databases using Open Data Base Connectivity (ODBC) technology. This course provides a summary and highlights of key topics covered in other courses in this series.